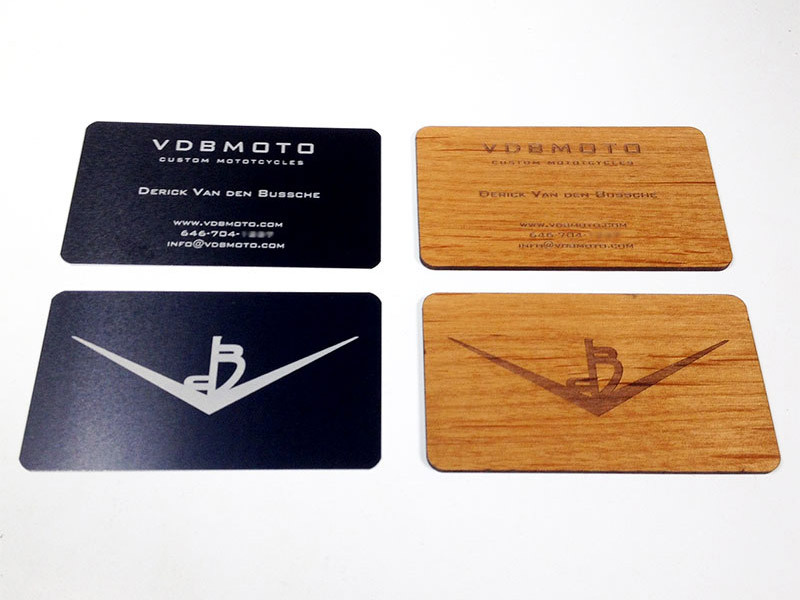 VDBMOTO Cards - Pure Black, Inc.
Brooklyn based motorcycle builder/restorer VDBMoto was interested in some standout business cards. Trying to decide between black anodized aluminum and solid alder, he made the decision easy by selecting “both”. Love it.